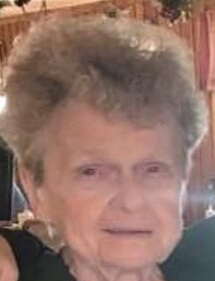 Obituary for Beverly I Longden | TRAUB FUNERAL HOME INC.
Beverly Dines Longden, 81, of Kirkville, passed peacefully on Tuesday after a long illness. Beverly is predeceased by her husband Fred Longden in 2015. She is survived by her children Daniel (Michele) Dines, Kathy (Pokey) Dines, Karen Dines, Timmy (Frankie) Dines, and Lisa (Ed) Diringer; sisters Sally Fontana, Roberta Salmon, and MaryLou French; seven grandchildren; a few great grandchildren; her trusted sidekick "Louise" (Helen Butler); and many nieces and nephews. Family and Friends may visit from 1 pm to 2 pm, on Thursday, at Traub Funeral Home, 7975 Rt. 31, Bridgeport with a Funeral Service to follow at 2 pm. In lieu of flowers, contributions may be made to the Bridgeport Food Pantry or St. Judes.